We keep your card in a safe place because Mother Lode has made our moves so easy. Retirement is 5 years away and that should be our last move. Until we meet again. Kevin and the crew were all fantastic. If I need moving services in the future, I will definitely call Mother Lode Van & Storage. Have a great day! We couldn’t have been more pleased with the way our move. Kevin and Chris were very professional and so easy to work with. They made the move flow on both ends and we wanted to thank you all for making it so easy for us. 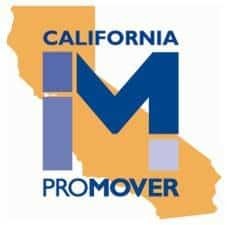 Are you planning a move in Sacramento, Davis or anywhere in Sacramento County? Do you need safe and secure storage for your belongings during your move? Call one of the Sacramento metropolitan area’s best moving companies; Mother Lode Van & Storage. Whether you need local movers Sacramento, out-of-state movers or commercial moving services, Mother Lode Van & Storage has the expertise, knowledge and attention to detail to ensure you get the help you need during your next move. storage services, and we pride ourselves on delivering customized moving service packages designed to meet each customer’s unique needs. No matter if you need help moving in Roseville, Vacaville, Folsom or across the Sierra Nevada Mountains, we can provide a stress-free moving experience. When you move with Mother Lode, you can have peace of mind knowing that you’re getting affordable moving services, without sacrificing quality.